It has been a couple of weeks since we have been back and I am still combing though video, photos and data we acquired. I know that some of you want a definitive answer on our search results but that will take much more time. The reason is that although we found “the” slab, we did not find the rows and rows of remains we had hoped to locate. As you may not know, the original slab that was allegedly poured over the passengers & crew of the Hawaii Clipper in 1938 was broken up by the land owner in 1983/84 and used as fill for a much larger but shallower slab of which a house now resides. As you can see, this was no small attempt and after two days of digging, we nearly went 4-5 feet in nearly every part of the house. YES, we found clothing. Yes, we found material that COULD be bone or could be calcified coral. I personally don’t want to take any chances and toss something aside as being nothing when it could be something. So, the verdict is still out. Jeff and I, with a HUGE help from Bill, Tony, Myron, Felix and Larry, accomplished what many thought was nearly impossible. Over the next couple of months, we will being releasing our findings as well as videos of what we found and what still remains. I cannot begin to thank each and every person who helped get us there with their prayers and financial support.. you are all excellent! Stay tuned over the next couple of weeks and we share more about this very exciting journey. Who is the com cam person on the expedition? Always interested in NC14714, but I have my own opinion as to its fate. Still I’ll keep an open mind pending your results. As we know from Malaysian flight ML370, may mysteries remain – some at the bottom of the ocean. Looks like not much has changed since I was roaming the North Pacific Islands in the early 90’s. Spent many days on Guam, Rota, Tinnian, Sipan, the Palau islands and Yap. Did not make it to Truck/Chuke but they all look pretty much the same on the ground. Friendly people living on the edge of nowhere but I would not call any of these lonely islands paradise. As a followup, while I was out there I heard plenty of rumors about the past (some believable some not – the old timers like to “talk story” with the authority of fact. Heard several stories about what really happened to Amelia Earhart (specifically that she was imprisoned by the Japanese along with her copilot, in a jail that was still partly standing in 95, and that they were shot in a sugar cane field.) And then there was the story that Tokyo Rose did most of her broadcasts from Palau/Belau/Pelew (in the mid 90’s you could still find the wreckage of a very tall Japanese radio tower on Korror or Babeldaob island.) And the story of hundreds of Japanese solders being eaten by salt water crocodiles one night while the American solders listened from a near by island in the Palau lesser islands. Truth, Fiction or a mix? Heaven knows it is an interesting area where a lot of history took place over the past 200 years or so. 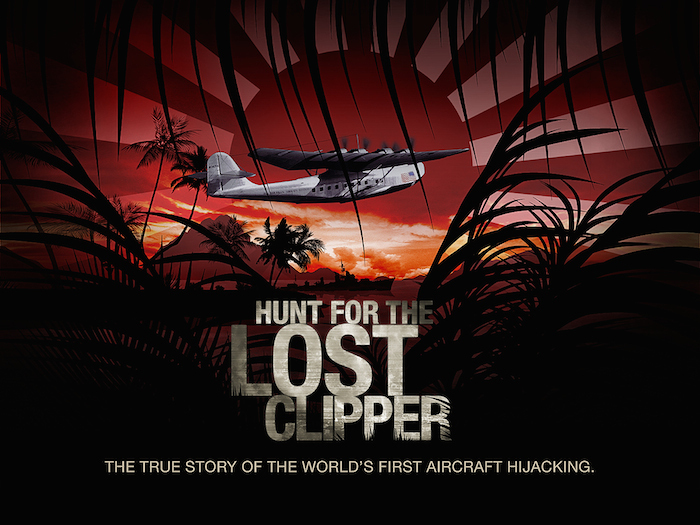 Sorry guys, I never heard anyone talk about the Lost Clipper while I was out there.